Argentina is the largest wine producer in South America and the fifth largest in the world. Although Argentine viticulture has a long tradition stretching back to 1557 historically wine was produced largely for the domestic market, where the emphasis was firmly on quantity over quality! However, recently, encouraged by the success of wines from neighbouring Chile, and helped in part by an economic crisis, the production and export of fine wines has taken off. Argentina is now established as a highly respected New World wine producer. Argentine wine finds its origins in the Spanish colonization of South America during the 16th century. In 1557 a Chilean Friar, Juan Cedrón, journeyed into what is now Argentina carrying with him vine cuttings, which he nurtured and developed. In the 1560s winemaking quickly evolved into two important and distinct regions: Mendoza and Cuyo. 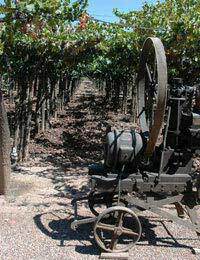 Grape cultivation quickly spread to more regions and wine became a part of Argentine culture. Over subsequent centuries huge numbers of French, Italian and Spanish settlers arrived and developed the techniques and flavours of the country’s wine. In 1868 Professor Pouet introduced Malbec, Cabernet Sauvignon and Merlot cuttings from Bordeaux. In the warm and dry climate these grapes flourished and were soon thriving. Winemaker Tuburcio Benegas made use of these French imports in his innovative new techniques. The wines that the masterful Benegas produced were robust reds, ideally suited to the juicy Argentine steaks that are central to the country’s cuisine. The completion of a new railroad in 1885 enabled easier transportation of wines from region to region, from the vineyards to the cities, giving a noticeable economic boost to the vintners. The emphasis on producing large amounts of meat-accompanying table wines for the domestic market continued into the 1970s. This preference amongst producers, along with a lack of policies concerning standards in viticulture, led to a severe decline in the qualities of the drink. Many farmers disregarded attempts at finesse in pursuit of market rewards, but eventually a backlash set in with consumers unhappy in this decline and the poor state of the wines. In the 1980s Argentina introduced a programme of ‘vine-pulls’, eliminating low grade, badly managed crops and replacing with quality vines, taking into consideration region and climate. These new vines, combined with the aim of winemaking excellence, led to new chapter in the country’s viticulture. Ironically one of the grapes hardest hit by the vine-pulls was Malbec, which has since become a national speciality and roaring international success. Argentinean Malbec grapes, in keeping with the country’s love of potent reds, produce wonderfully rich inky wines with smooth tannins and a ripeness impossible in European climes. Many consider Argentine Malbec to be the finest in the world. In 2002 devaluation of the Peso lead to economic collapse, but out of this calamity came the advantages to vintners of reduced production costs and a growth in wine tourism. Many vineyards now offer free tours and tasting, and some even provide accommodation for the visiting enthusiast. The Mendoza region today enjoys its status as one of the top tourist destinations, due largely to its viticulture. So why not indulge in the delights of a deep spicy red Malbec from Mendozza, or a refreshing aromatic white Torrontés from La Rioja, and enjoy the triumph that is Argentine wine? The most important winemaking regions are the provinces of Mendoza and San Juan (Cuyo Region). Mendoza produces 60% of Argentine Wine, and accounts for about 85% of the county’s wine exports. Jujuy - San Salvador de Jujuy. This region has records for some of the highest altitude wine making. The population of Argentina has had immigration from many nations, and this is reflected in the diversity of grapes cultivated. Bonarda vines came with the Italians, the French brought Auxerrois grapes, now known as Malbec, used in the many of the country’s best wines. The provinces of La Rioja, San Juan, and Salta make use of Torrontés grapes in delicious white wines.